We are the leading Manufacturer, Imported and wholesaler of CNC Routers tools to our valuable clients. We hold expertise in manufacturing and trading Tool. The offered range is manufactured under the guidance of skilled professionals by using optimum quality raw material and advanced technology. This tool is tested by our quality controllers against various parameters to ensure a superior quality and to avoid defect. 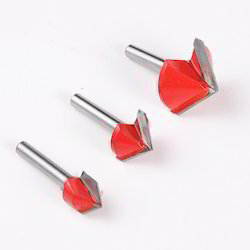 Offered tool is available in various sizes, shapes and diameters to meet the various requirements of our clients. 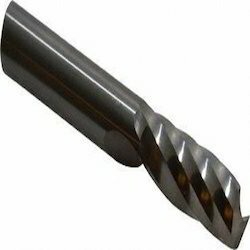 Our company holds vast experience in this domain and is involved in offering Carbide CNC Router Bit.Carbide Router Bit or Carbide Single Flute End Mills for machining Aluminum, Plastics and Other sticky materials . These Carbide router bits Made from our ULTRA MICRO FINE Carbide Grain. 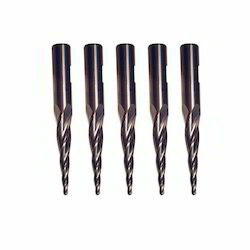 These router bits come with Super Finish Surface for smooth removal of chip hence giving extraordinary life in sticky materials. These Carbide router bits are the best in the industry.